TEAM Wellness & Prevention empowers youth to live healthy and vibrant lives, free from substance misuse and dependency. Our vision is a community where youth choose to live substance-free lives and model responsible use as adults. Team Wellness & Prevention addresses the underlying risk and protective factors associated with youth substance use, misuse, and dependency (Substance Use Disorder). focusing on individual health and wellness, Team supports the creation healthy coping skills, resiliency, and positive relationships with peers. collaborating with adults, parents, caregivers, and guardians to promote a healthy social-emotional environment with their children and youth. mobilizing community partners, Team works collaboratively to assess community health needs and devise and implement evidence-based policies/practices that impacts youth substance use and misuse. support youth who struggle with substance misuse and addiction to provide a road back to a healthy and fulfilling life. TEAM is a nonprofit, 501(c)(3) organization. I grew up in Michigan and moved to Colorado in 2006 as an AmeriCorps volunteer. During my year of service I worked with homeless and runaway youth at Urban Peak Denver. Afterwards, I was hired on by Urban Peak and worked with young people around job readiness and training. Working with and for homeless youth was a formative experience for me, one that I applied to various other work settings; coordinating TANF services for refugee youth and families, providing navigation services for youth and families in public housing, and finally providing technical assistance to grantees receiving prevention funding through the State of Colorado. My family and I enjoy all things outdoors; hiking, climbing, skiing, snowshoeing, kayaking, etc. The mountains, rivers, and lakes are always destinations. TEAM's resident numbers guru, Sarah Allison, ensures that all of our programs are effective in improving wellness and reducing substance abuse. 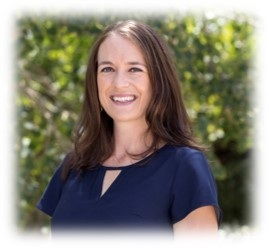 She designs and manages all program evaluation and reporting, tracks numbers-served and process data, and works closely with community-level research in order to monitor the scope of substance abuse in Larimer County. I run the Responsible Association of Retailers (RAR) Program. I am an instructor for the TiPS and the TenderWise Cannabis Responsible Vendor Program, provided by TEAM W&P and RAR. TiPS is a program that teaches responsibility and intervention in the service and use of alcohol. The TenderWise Cannabis RVP, is a program approved by the State of Colorado, CDPHE and the Medical Enforcement Division, that teaches responsibility in the cannabis industry. Dewey provides trainings every month for members of RAR and non-members who are interested in the TiPS and Cannabis RVP certifications. I am one of Team's Youth Education Specialists. I run our Define Youth program, Youth Empowered Yoga program, and Middle and High School substance use prevention presentations. Meg is also an adult facilitator for Team's youth social norms campaign in Southern Larimer County called Thompson Teens United. I am the Family Engagement Specialist for TEAM, which means I get to work with both parents and their kids. Through evidence-based programs, families learn the same curriculum so they can grow together and share a common language in the home. I love serving our families, and my favorite part about working for this organization is that we are truly a TEAM. In my free time, I enjoy spending time with my husband & four dogs, running, reading, and volunteering at a local dog rescue. I began my career with Team in 2013. Since then, I have played several roles within the organization and currently I am a Program Specialist. I assist in facilitating several of our youth programs and takes pride in facilitating Team Fashion, a summer program that I helped to create for children. I am currently in the process of obtaining my degree at CSU in Human Development & Family Studies with a concentration in Prevention & Intervention Sciences. Outside of school and work, you will find me spending time with my daughter. 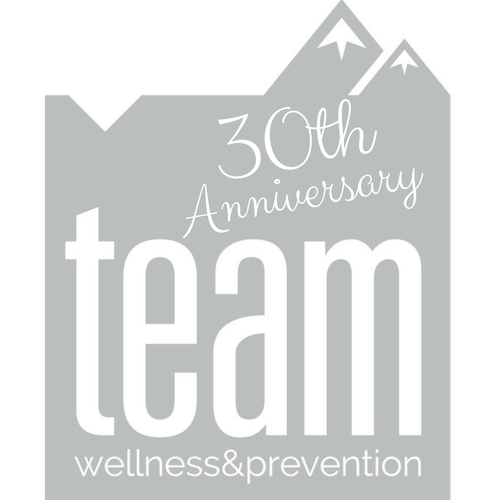 I hold the title of Program Assistant for TEAM Wellness and Prevention, but that title is only part of what I do at TEAM. I was a volunteer for TEAM for approximately 4 years before being accepted as an intern in December 2017 where I committed to providing the outreach of sponsorships for TEAM's Simply Red Gala Fundraiser. I was able to establish excellent relationships with TEAM's sponsors and in April of 2018 was offered a permanent position with TEAM. I continue to build partnerships with the community and my dedication to TEAM has expanded to running the administrative management of TEAM's Licensed Rebound Program which is a treatment program developed in March of 2017. Rebound provides direct services to treat and address substance use disorders and mental health to Northern Colorado's community. My dedication to TEAM has grown into the ability to assist the Youth Program Specialists with their programs when needed. I enjoy the staff and feel that "we gel appropriately" and my favorite color is purple! Brianna Cuthrell has a bachelor’s degree in Criminal Justice from University of North Florida received in 2010. She is currently seeking a Master’s degree in Social Work from Colorado State University. She has worked as a residential counselor, case manager and a prevention specialist for the last 10 years. Brianna holds her CAC II and has experience running substance abuse treatment groups. Are you interested in serving TEAM and our community? We have openings on our Board of Directors. To find out more information fill out the information below and our Board will be in contact with you. What does substance abuse mean to you and what is your experience with substance abuse? What special skills or expertise can you bring to TEAM as a Board Member? What have you heard about TEAM in the community? Positive or negative?